Meets new rule requirements for hair cover. Attaches easily to any earguard. Comfortable design allows ears to be exposed for better hearing. 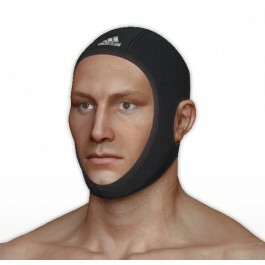 The Adidas hair cover is federation approved with earholes for better hearing and a comforable full coverage design.